1) Too much current running through wiring where overcurrent protection fails or does not exist. 2) Faulty electrical outlets resulting in poor contact or arcing. 3) Poor wiring connections and old wiring that is damaged and cannot support the load. · Electrical outlets— Check for loose–fitting plugs, which can be a shock or fire hazard. Replace missing or broken wall plates so wiring and components are not exposed. · Plugs — never force them into outlets. 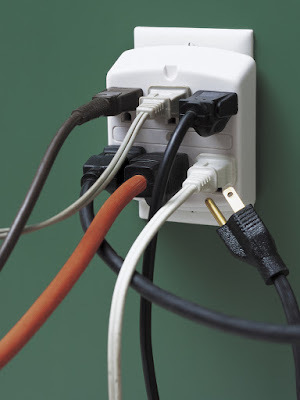 Don’t remove the grounding pin (third prong) to make a three-prong plug fit a two-conductor outlet. 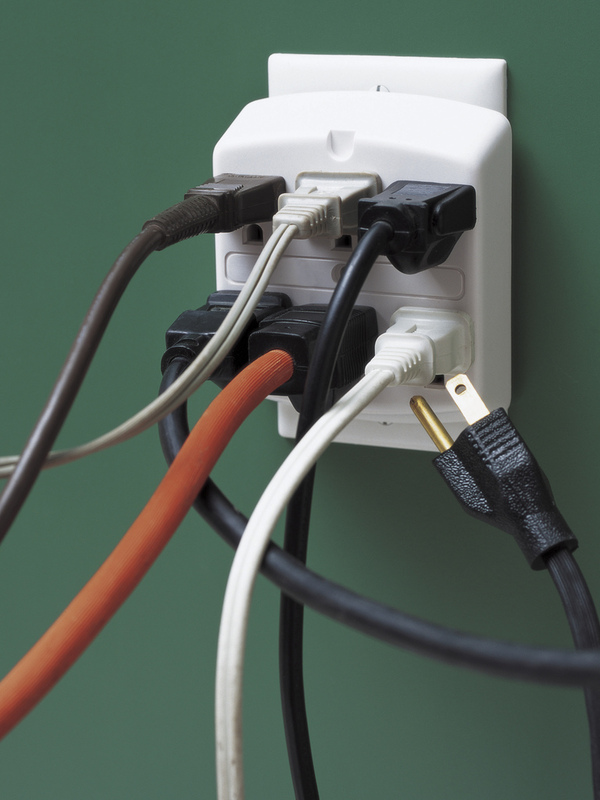 Avoid overloading outlets with adapters and too many appliance plugs. · Cords — make sure they are not frayed or cracked, placed under carpets or rugs, or placed in high traffic areas. Do not nail or staple them to walls, floors or other objects. · Extension cords — Use them on a temporary basis only. They are not intended as permanent household wiring. Make sure they have safety closures to protect young children from shock and mouth burn injuries. · Light bulbs — check the wattage to make sure light bulbs match the fixture requirements. · Ground Fault Circuit Interrupters (GFCIs) – Make sure GFCIs are installed in your kitchen, bathrooms, laundry, workshop, basement and garage as well as on outdoor outlets. · Make sure to only use a Class C or an ABC-rated fire extinguisher to eliminate an electrical fire.